Our solid hardwood, Amish made New Haven Lateral File Bookcase is appropriate for your executive office whether you are inner-city or at home. 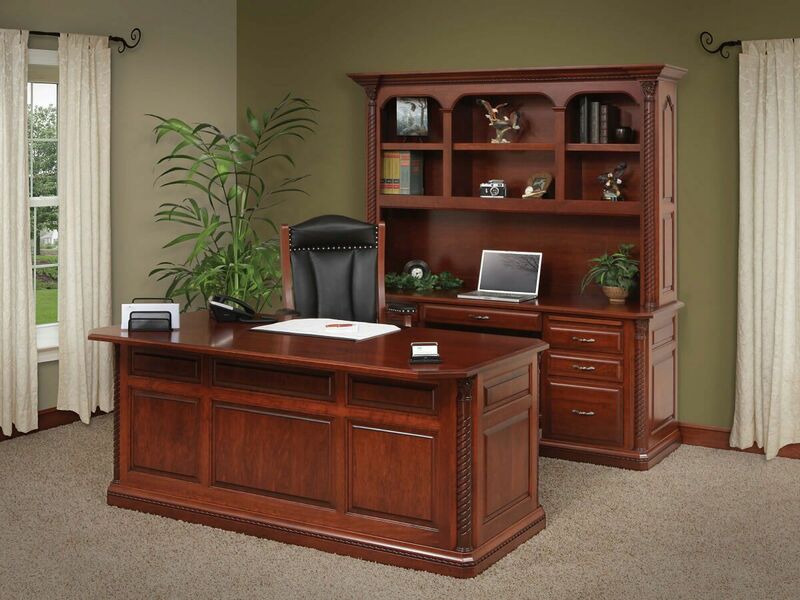 Shown in Cherry, this highly ornamented bookcase is a great addition to any office space. Offering two, large, dovetailed drawers worth of lateral filing space beneath a hutch with two adjustable shelves, a lot of information can be accommodated by the New Haven Lateral File Bookcase. You will, no doubt, notice the beauty of the raised panels, rope moulding, and braided corner posts, but you need to look closer to observe the intricate carvings at the top of each post. Available in a variety of hardwoods and stains, your New Haven Bookshelf with Filing Cabinet can be made to match existing furnishings or to complement other products from our New Haven Office Set. 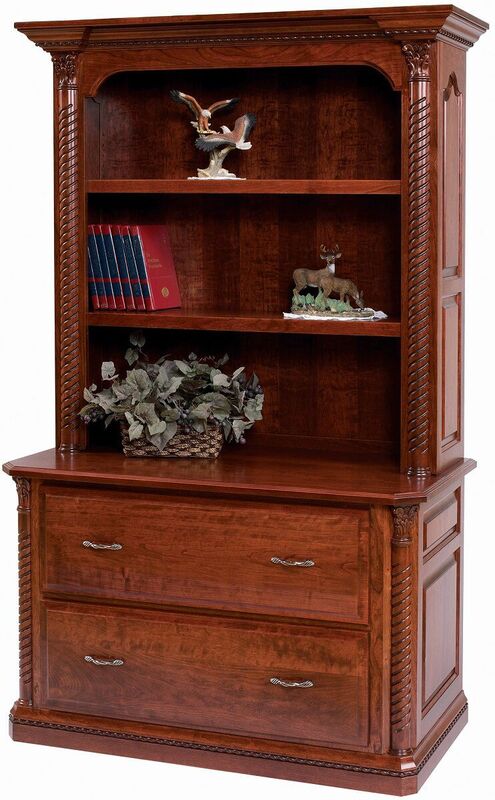 Whatever you choose to make of your New Haven Lateral File Bookcase, let Countryside's Amish artisans handcraft it.